Bhuvneshwar picked 5 for 24 in India's 28-run victory in the first T20I at Johannesburg. India pacer Bhuvneshwar Kumar continued his brilliance in the ongoing tour of South Africa. The 28-year-old claimed his maiden T20I five-wicket haul in the first Twenty-20 against South Africa in Johannesburg as the Men in Blue won the match by 28 runs. With this stunning bowling figures (4-0-24-5), Bhuvi became the first Indian bowler to take five-wicket haul across all three formats. South Africa’s top 3 comprising of JJ Smuts, Reeza Hendricks and JP Duminy became Kumar’s victim before he dismissed two more in the form of wicketkeeper-batsman Heinrich Klaasen and all-rounder Chris Morris. Seeing Bhuvneshwar’s recent bowling prowess, former India opener Kris Srikkanth has hailed the right-armer for constantly evolving with time. Srikkanth highlighted the swing bowler’s superb use of the knuckle ball. "The key architect of India’s superb victory in the first T20 is undoubtedly Bhuvneshwar Kumar. What I like about him is his ability to deliver in two critical phases of a T20 match - the Powerplay and the death overs. Those are the times when batsmen really set themselves up to have a go at the bowlers. A glance at the scoreboard in the last T20 would indicate that the South African batsmen had taken on every Indian bowler except Bhuvneshwar, who is one of the deadliest T20 bowlers going around in world cricket at the moment. 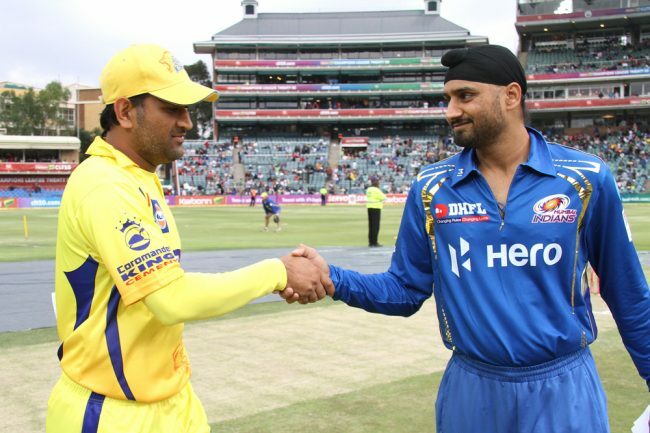 It was his effort with the ball which hampered the opposition during the chase," Srikkanth wrote in his latest column for TOI. "What makes Bhuvi lethal? He has got a fantastic action and he can swing the ball both ways without any change in action with the new ball. And the addition of a knuckle ball makes him even more dangerous. He has quite a few different versions of the knuckle ball and can bowl it with seam-up and cross-seam. All those variations are a result of sheer hard work and practice in perfecting them. Such variations keep the batsman guessing always and he rarely gets whacked around the park," he further wrote. Srikkanth, who has observed Bhuvneshwar from the close quarters during the IPL with Sunrisers Hyderabad, also pointed out that Kumar is a proven wicket-taker at different junctures of the game. "With Bhuvi, it's not just about curbing runs. 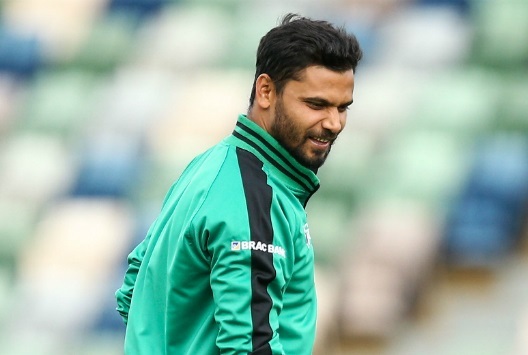 He is a wicket-taker at different junctures of a contest as was evident in the opening game where he claimed two wickets in his first spell and then halted the progress of the South African middle order bagging three wickets in an over in the end. Picking wickets in T20s is vital as it puts the lid on the scoring rate as well," he wrote. 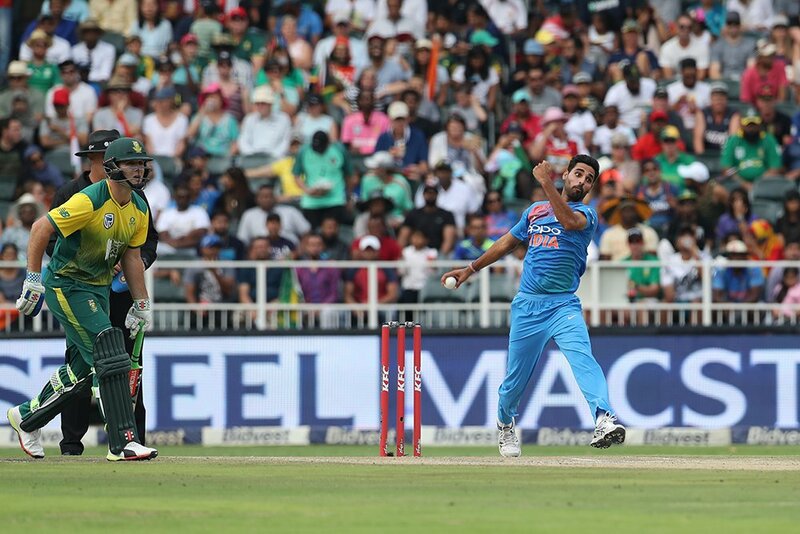 Owing to Bhuvneshwar’s herculean effort, South Africa could manage 175 for 9 in their quota of 20 overs while chasing India’s mammoth target of 204. Seeing South Africa’s poor show, Srikkanth opined that this was the poorest Proteas side he has seen. "Surprisingly, I have never seen such a jaded and disoriented South African side. I think something is wrong in their selection policies. They have been found wanting in all departments. The major problem for the hosts is that two of their senior cricketers - skipper JP Duminy and David Miller - haven’t been able to contribute much to the team’s cause with the bat. In fact, it’s adding to their misery," he wrote. “Unless the senior duo come up with a special effort, it will be difficult for South Africa to challenge Virat Kohli & Co. I also feel that their bowling attack looks way too inexperienced for this powerful Indian batting unit,” Srikkanth concluded.